You plan to sleep in your hammock all night long, but occasionally weather puts a damper on your plans, which is where the Kammok Kuhli Shelter comes in handy. 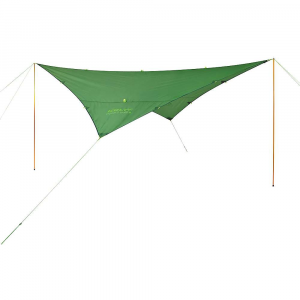 Fasten it above your hammock and you'll remain dry and shaded throughout your stay between the trees. Thanks to its extra durable materials, pine needles, tough handling, and several years of use won't deteriorate its protective functionality. 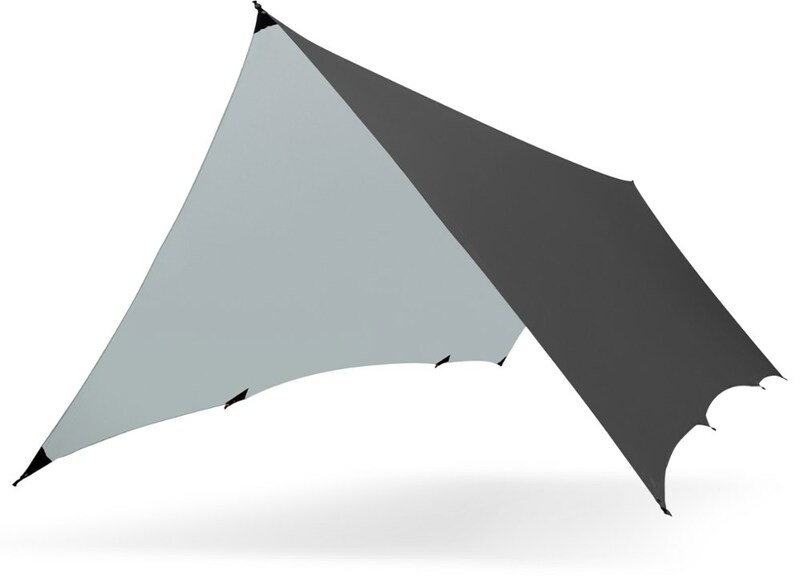 Protect yourself from rain, snow or heat with the Kammok Kuhli shelter. 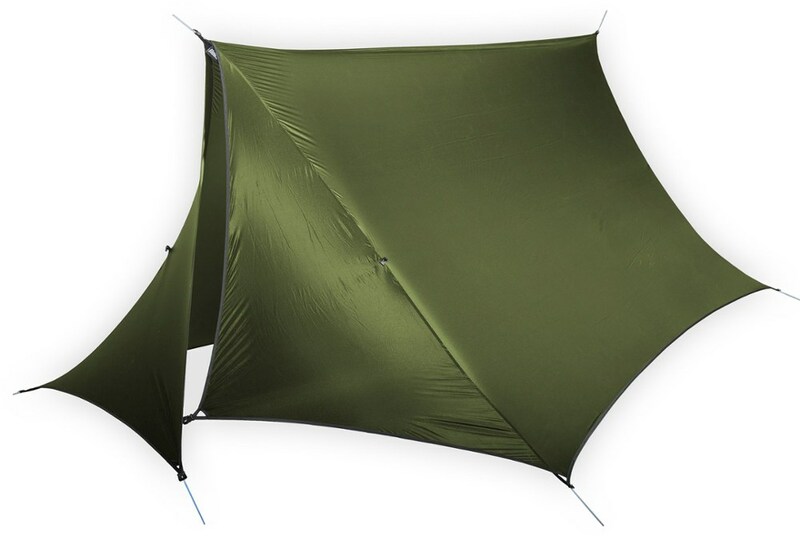 With 10 guyout points, this tarp can suit the shape of what you need to cover-hammocks, a camp kitchen or all your gear. Features of the Kammok Kuhli Shelter Backed by Kammok's Lifetime Warranty, so your gear will outlast your adventures. 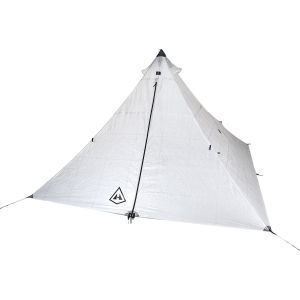 Ultimate Adjustability: With over 108 sq ft of coverage, and 6+ ways to set up as a shelter, the Kuhli is a versatile ultralight weather relief fortress. Hyper-strong Hypalon(TM): All anchor points Are reinforced with Hypalon(TM), providing ultimate protection from High winds + inclement weather. Ultralight & Waterproof: Our Patagium(TM) 15 Denier Sil/PU/DWR coated 1,200mm fabric is engineered to be extremely lightweight & impermeable to rain, wind, and Snow. Pole Grommets: each Hypalon reinforcement point is laser cut and sewn with a strong circle bartack stitch, creating a secure opening for telescoping or trekking pole tips. Tape-Sealed Seams: The stitched seams will not leak and Are sealed with superheated air-applied waterproof tape. Knot-less: No knot tying needed with the Kuhli?s built in line-lock tensioners and cord hooks. Reflective Guy Lines: High-visibility reflective tracers Are woven into the 3mm cord making camp easier than ever to navigate in the dark. Quick Adjustment: Line-lock cord tensioners Are at each guy line connection point for quick tensioning. Cord Pockets: Integrated cord pockets at each anchor point help keep cord tidy when not in use. When every ounce counts, count on the Kammok Kuhli Tarp for weather protection that won't slow you down. 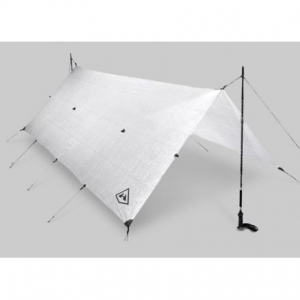 This ultralight, minimalist shelter features 16 different guyout points and grommets for trekking poles to allow you to quickly set it up in a wide variety of ways. 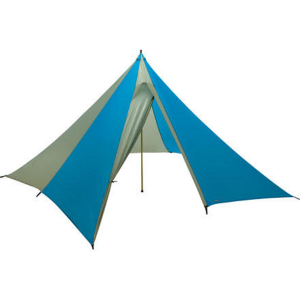 Set it up as a sun shelter when you're having lunch in fair weather, configure it as an awning on clear, breezy nights, or lock it down in total storm mode when brutal weather forces you to hunker down. 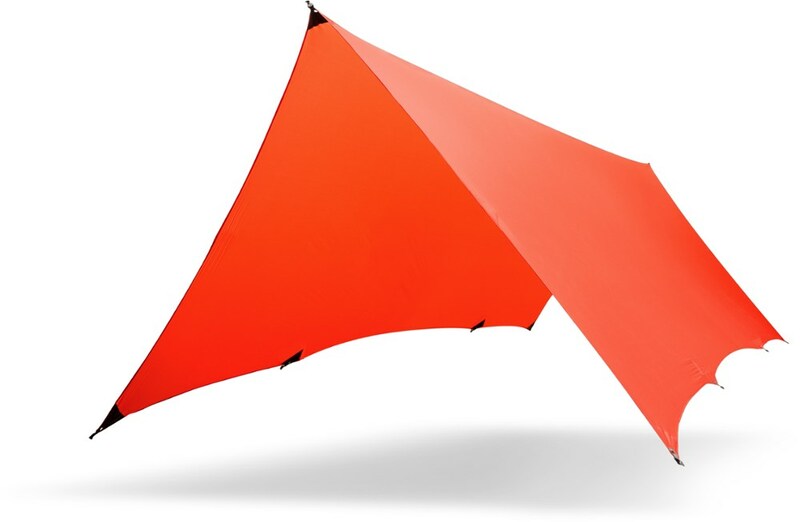 The PU-coated fabric is fully waterproof to repel rain with ease, and reinforced guyout points withstand the strongest gales without ripping. And at just over a pound in weight, there's no reason not to have the Kuhli in your pack, whether you're on a thru-hike or just spending an afternoon in the mountains.